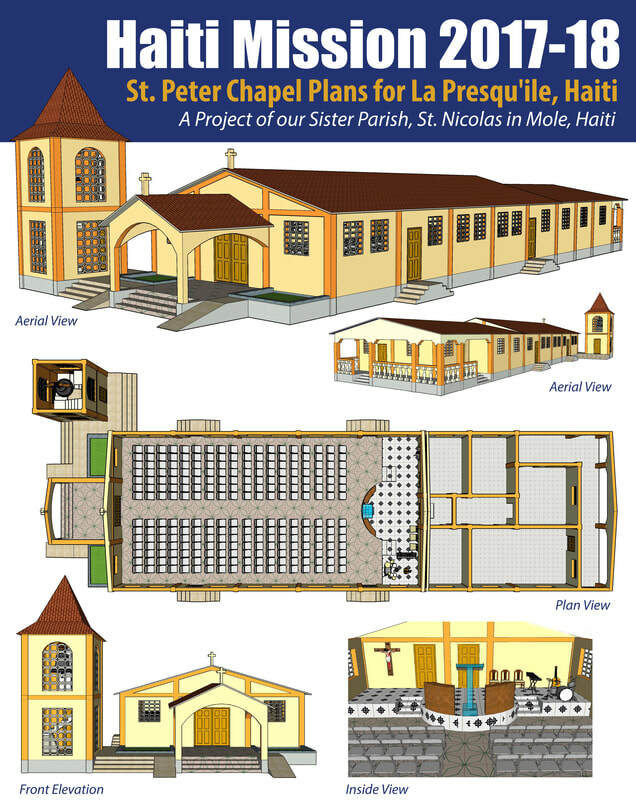 Thank you to all who have contributed to the fundraising efforts for the St. Peter Chapel for La Presqu'ile, Haiti a project of our sister parish, St. Nicolas in Mole, Haiti. Their humble church was destroyed by the hurricane last winter and are currently worshiping under a tree on the peninsula. 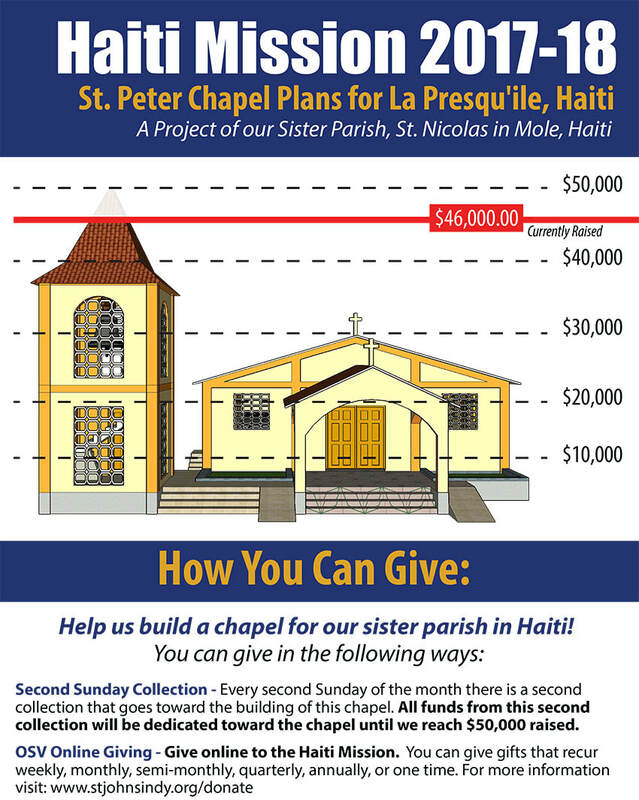 We are at $46,000 of the $50,000 needed for the building of the chapel. Construction has started and they plan to dedicate the new chapel on June 29, the feast day of Sts. Peter and Paul as the chapel is named after St. Peter since the people in this village are all fisherman. Please continue to keep our brothers and sisters in prayer in Haiti, and thanks so much to all those who have already donated to this project. ​If you'd like to give toward this project visit: http://www.stjohnsindy.org/donate.html and select the Extraordinary needs as your giving fund. Thanks for your continued generosity to those in need! *Be sure to check Extraordinary Needs as your giving fund. All of these funds will go toward the Chapel. Thanks for your generosity!